Guinea-Bissau and Côte d’Ivoire have renewed their support to the Morocco-proposed autonomy plan for Western Sahara, just few days apart, a reaffirmation that has undoubtedly upset Algeria which backs the Sahrawi separatist movement, the Polisario. 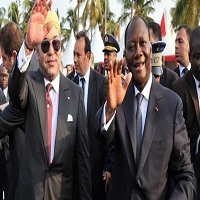 Guinea-Bissau and Côte d’Ivoire have reaffirmed their support to the autonomy plan on the occasion of the visits of the King of Morocco in both countries. King Mohammed VI is actually on an African tour, which also includes Senegal and Gabon. Senegal, Gabon and Côte d’Ivoire are among Morocco’s traditional allies in Africa and are all staunch defenders of Moroccan sovereignty over Western Sahara, a former Spanish colony. The renewed support of both Guinea-Bissau and Côte d’Ivoire is all the more important as it comes just weeks after the UN Security Council adopted resolution 2218. The UN text sounded like a disavowal for the Polisario and its Algerian mentors since it ignored their demands to enlarge the MINURSO mandate to human rights monitoring in the disputed territory. The Western Sahara has poisoned relations between Morocco and Algeria for 40 years. The context in the region and in the world has changed dramatically and the support enjoyed by Algeria and the Polisario in the communist bloc and in Africa has been eroded year after year. The death of Libya’s Muammar Gaddafi dealt the deadliest blow to their supportive bulk. Actually many countries had recognized the Polisario’s self-proclaimed Sahrawi republic in return for the petrodollars lavishly donated by Gaddafi and Algeria. Today, only a dozen countries in Africa still recognize the pseudo Sahrawi republic. Meanwhile, Morocco, which withdrew from the African Union, former OAU, in 1984 after the illegal admission of the Sahrawi republic, is steadily gaining ground, rallying more and more countries to its cause.